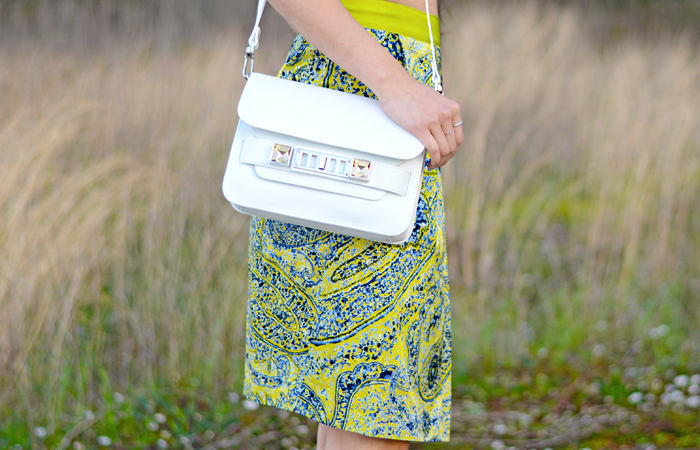 This acid yellow-green Etro skirt is one of my all time favorite skirts I own! The neon print skirt was paired with a white crop top from Nasty Gal. For accessories, I wore Balenciaga T-strap heels, silver accent jewelry, and my new Proenza Schouler shoulder bag! I hope everyone is having a great week so far! !